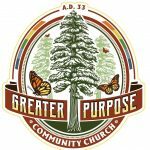 Greater Purpose Community Church is an Open & Affirming Congregation in Santa Cruz, CA. During the AllianceQ Banquet at General Assembly, the Alliance recognizes its members and others for significant contributions to or on behalf of the Alliance, its members and friends, the Christian Church (Disciples of Christ), or on behalf of LGBTQ+ and affirming Christians or other persons. We invite our members, clergy at the local, regional, and general level, and general church staff to submit nominations for the 2019 Recognitions. To nominate a person for one of these recognitions please submit a brief summary of the nominee, including name, location, and 1-2 paragraphs as to why they should be considered for the recognition for which you are nominating them. Please submit the nomination to Robin Knauerhase, AllianceQ Moderator, at robin@disciplesallianceq.org by May 1, 2019. This Recognition is named for the late Carol Blakley of Caldwell, Idaho, a Disciple mother of a gay son, who broke silence at the 1977 Kansas City General Assembly, and called on all Disciples to name the reality that LGBTQ+ and affirming persons are our sons, daughters, brothers, sisters, parents, congregants, pastors and staff. Mrs. Blakley was the first recipient of this Recognition, which was given at the Alliance Aftersession during the 1989 Indianapolis General Assembly. This Recognition shall be give to a member of the Alliance who has contributed significantly to the call on Disciples to name the reality which Mrs. Blakley dared to name, to the other purposes of the Alliance and to the growth and development of the Alliance within the general manifestation of the church. This recognition is named for the late Rev. O. D. Johnson of Kansas City, Missouri, a retired Disciple clergyman who came out of the closet upon retirement and founded GLAD-Kansas City in 1987 as the first Alliance Chapter. Rev. Johnson was the first recipient of this Recognition which was given during the 1990 Kansas City Event. This Recognition shall be given to individuals or groups who contribute significantly to the development and growth of an Alliance chapter or to the visible present of the Alliance within the regional manifestation of the church. This Recognition is named for Rev. Debra Peevey of Surprise, Arizona, and Rev. Allen Harris (Regional Minister – Capital Area Region of the Christian Church (Disciples of Christ). Rev. Peevey, then pastor of Findlay Street Christian Church in Seattle, came out as a lesbian to her congregation and subsequently led them through the process of be­coming Open and Affirming in 1988. She was the first recipient of this Recognition, which was given at the 1991 Tulsa Event prior to the Tulsa General Assembly. Rev. Harris, then co-pastor of Park Avenue Christian Church in New York, was called to that congregation and ordained as an openly gay clergyman and subsequently helped lead them to becoming Open and Affirming in 1992. Rev. Harris was the second recipient of this Recognition, which was given at the 1992 Fort Worth Event. Rev. Peevey and Rev. Harris were original members of the former Coor­dinating Committee of the Alliance. This Recognition shall be given to individuals and groups who contribute sig­nificantly to leading their congregations to become Open and Affirming or who contribute significantly to the visible presence of the Alliance within the congregational manifestation of the church. This Recognition is named for the late Rev. Michael Schloff of Boston, Massachusetts for the purpose of recognizing him posthumously. Rev. Schloff, an openly gay Disciples clergyman, died of AIDS-related pneumonia in the fall of 1988. At the time of his death, he was an original member of the former Alliance Coordinating Committee. He is credited with furthering the formation of the Alliance through his efforts during the 1985 Des Moines General Assembly. Michael was best known in the Boston area as a powerful advocate for the homeless and disenfranchised and for his work on the staff of the gay and lesbian counseling center. This Recognition shall be given to individuals or groups who demonstrate the powerful Christian commitment to LGBTQ+ and affirming Christians and to all persons within or without the church.